I have a couple of thoughts on this study. I did not see a detailed explanation of the how this study was conducted. The basis of the methodology was that the children were given a set of stickers and told that the some of the other children would not be able to get any. After this, I cannot find much as to what the researchers used as criteria. As such, I am not sure if the results of the study is even valid. On the other hand, I would be interested in see the results of any follow up studies in particular attempts to reproduce the results. Secondly, I am surprised that members of certain religions are not crying foul in regards to this study. This study directly contradicts what is considered conventional wisdom. 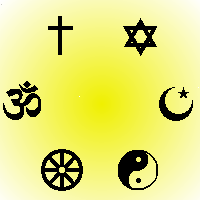 As a matter of fact, some pro-religious groups actually claim that it is not possible for non-religious people to have morals.